As the Dakno website design and development project manager, I’m often asked by my clients what are some of the most important things I need to consider when I launch my new real website. Below are my recommendations you should consider when launching a new real estate website. Tracking your site traffic is very important. Some of our clients are addicted to their Google Analytics. And rightfully so. How else will you know how well your site is performing? Here’s the good news! Dakno does this for our clients! It’s also important agents know the basic metrics to judge how their real estate website is performing. Using your Google login, first get familiar with metrics like visitors, new visitors, where your visitors are coming from (geographically and keywords), bounce rate, pageviews, and compare desktop visitors versus mobile visitors. Knowing how your site is performing will help you identify the types of content your visitors want to find. That way you are providing the information they need. 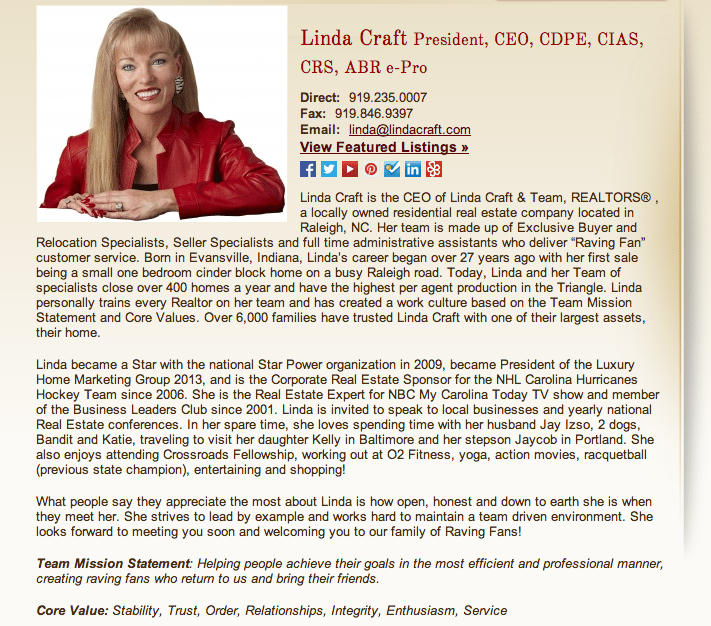 The end result will be visitors will see you as the local real estate subject matter expert! Achieving Google Authorship for your new site is a must! It’s a known fact having your Google+ profile image next to your search results will increase click throughs from your keyword results in search. Can I use authorship on my site’s property listings or product pages since one of my employees has customized the description? Authorship annotation is useful to searchers because it signals that a page conveys a real person’s perspective or analysis on a topic. Since property listings and product pages are less perspective/analysis oriented, we discourage using authorship in these cases. However, an article about products that provides helpful commentary, such as, “Camera X vs. Camera Y: Faceoff in the Arizona Desert” could have authorship. Based on Google’s response, we recommend you only tag Authorship to articles and posts that offers your expert opinion or analysis. 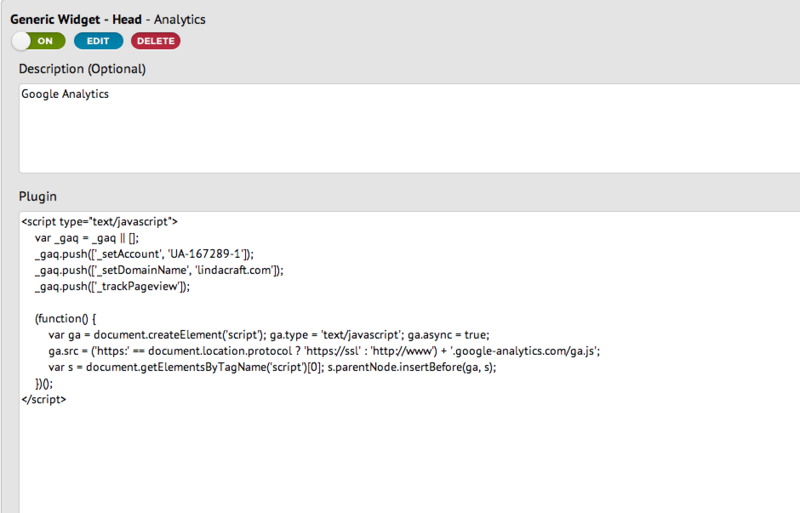 It is permissible to tag the entire website, blog and IDX with the Publisher tag. Assuming you have set up Google Local (if you haven’t go read this post by Brad now! ), it’s important your clients write you genuine reviews. You Google Local page is the gateway to people writing reviews for you. By adding your mapped location to your contact us page, prospects can get driving directions and meet you at your office. 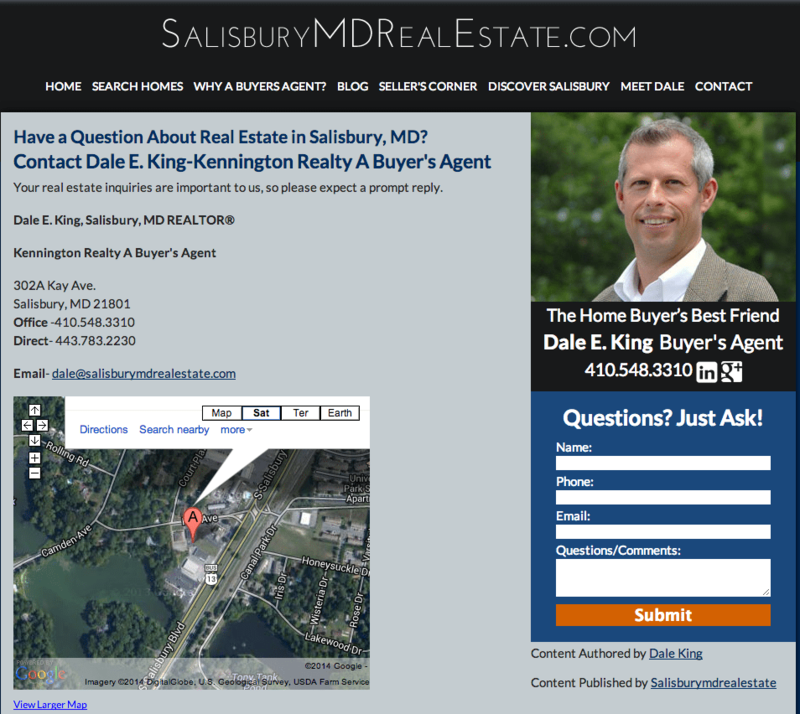 Here’s a terrific example of a contact page with the Google Local Map built by Salisbury, MD Real Estate Pro, Dale King. Write your “About You” Page But Make it Different! Tell your complete story. Not just that you eat, breathe, and sleep real estate. Talk about your passions like the your family, the hobbies you enjoy, how you enjoy biking, SUPing, golf or ???. Show your site visitors you have a heart. Tell them about the charitable causes you support with your time, talents and resources. Include all the places you play on social media. Your website should easily allow you to add your social media links and icons. Dakno makes adding your social media links super easy in your Admin. Do you receive the auto response email when you test submit one of your web forms? Getting engagements from your site is epic. Not getting notified when they happen stinks. Every Dakno website is delivered with 9 engagement forms for lead generation. We recommend you test them and see what auto response is generated. Then go back and edit the ones you want to customize. Your Website is Your Baby – Feed It! You must feed it for it to “live”. 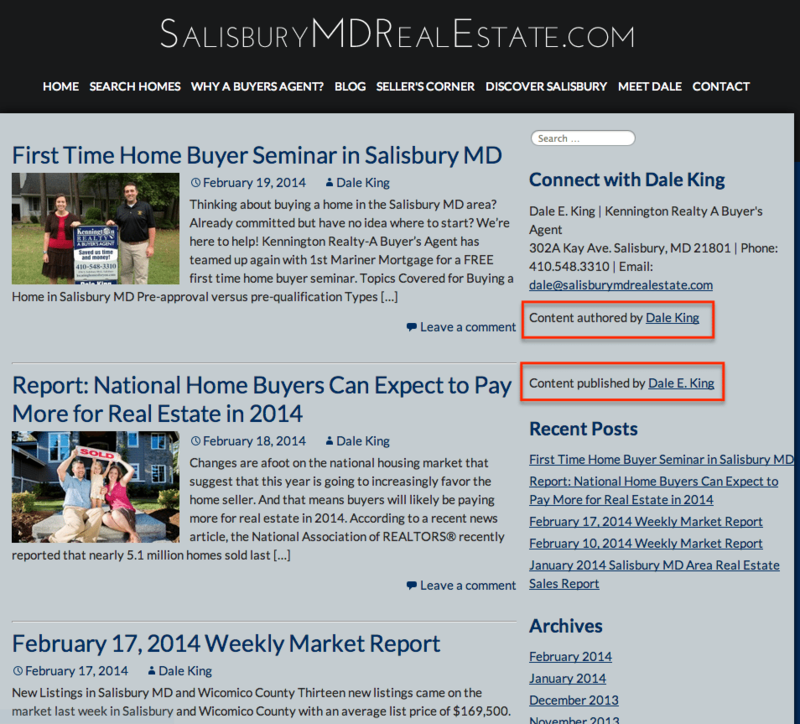 At the foundation of every great real estate website is hyperlocal information. Hyperlocal means information about your neighborhoods, subdivisions, condo buildings, and your communities. This information should be delivered in the form of copy, images, video and listing data if the complete compelling story about hyperlocal is to be told. Creating content around the keywords for your hyperlocal area helps deliver the best qualified site traffic too. 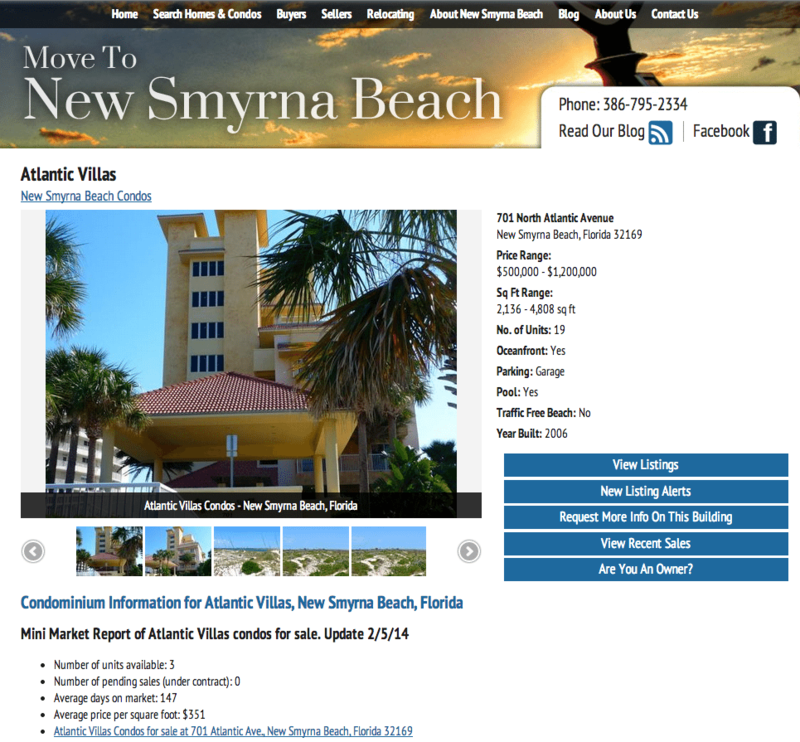 Here’s a terrific example of high-value hyperlocal content page built for New Smyrna Beach Condo Pro, Debbie Summers. If you have any questions about this post or need other ideas for your new Dakno website, feel free to leave a comment below. P.S. Because every website needs to be search engine optimized, I also provide this starter guide published by Google to help introduce the basic concepts of SEO to my clients. Kris Murray is a Dakno Website Project Manager and coordinates the design and development of new web builds for our Dakno clients.